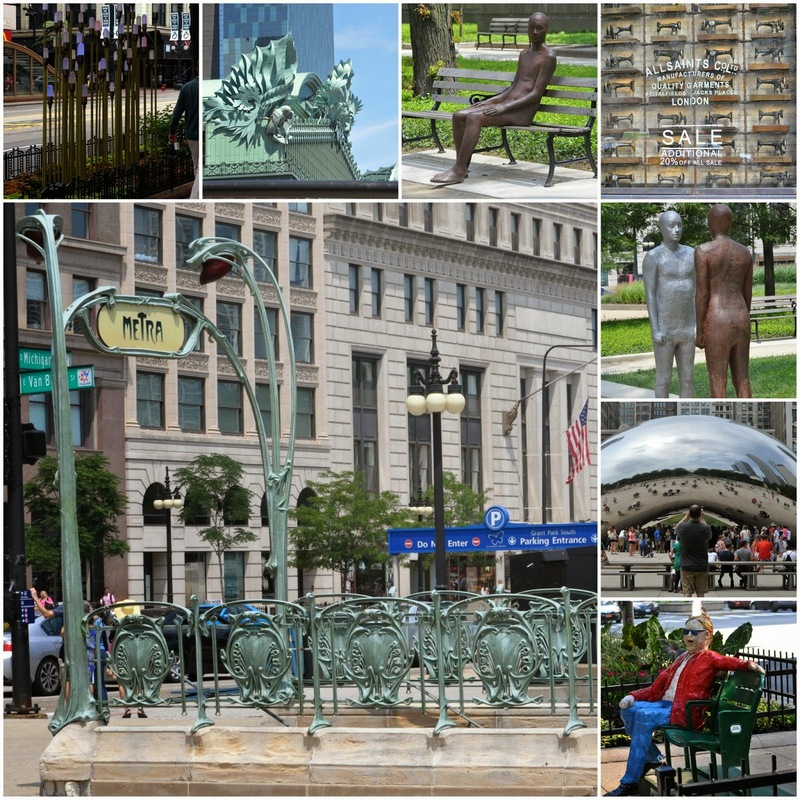 I had pleasure of visiting Chicago earlier this month for The American Institute of Floral Design, AIFD, annual symposium. What a remarkable city and the symposium was a-m-a-z-i-n-g. Arriving on the 4th of July I was greeted by a city ready to celebrate and celebrate they did. That first day had started with an early check in at the Ottawa airport and ended with a magnificent fireworks show at the Navy Pier over Lake Michigan: perfect day I think! 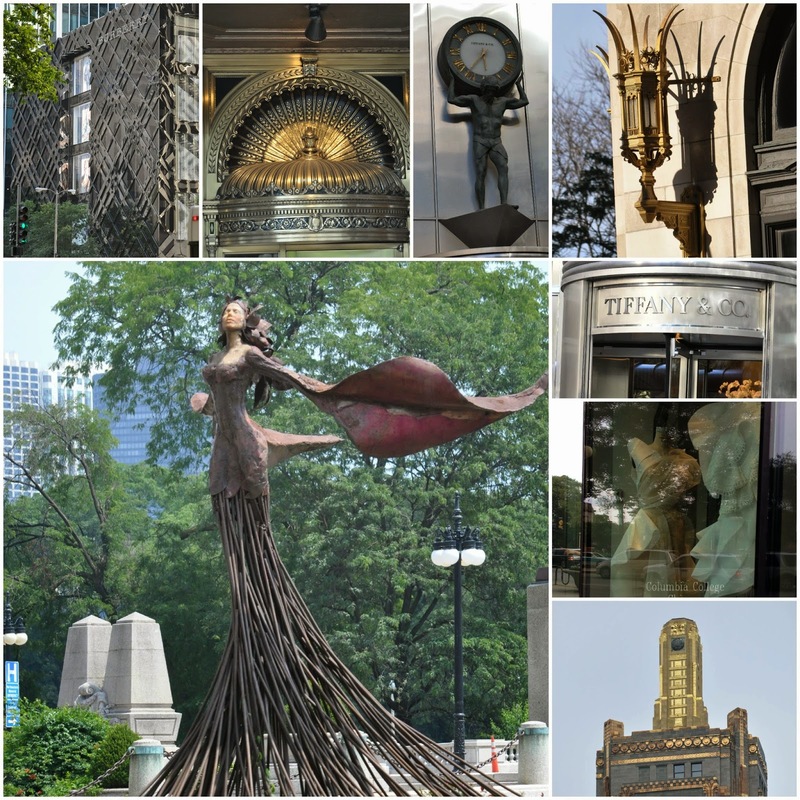 Art in all forms was everywhere: parks, buildings, store fronts, train stations, shop window displays and I loved it all. During our lunch breaks I would change shoes, grab my camera and go. There's was so much to see that between the symposium and the city I suffered [quite happily] with visual intoxication and hangover. The architecture is breathtaking - no wonder it's one of the city's greatest attractions. I've already planned my next trip. It will include a few guided tours though and likely a lot more walking. I'm not a shopper (surprise, I know) so the 1000+ photos I took of the windy city are my souvenirs and I will treasure them always...at least until my return visit when there will be a few more to add to my memory card. 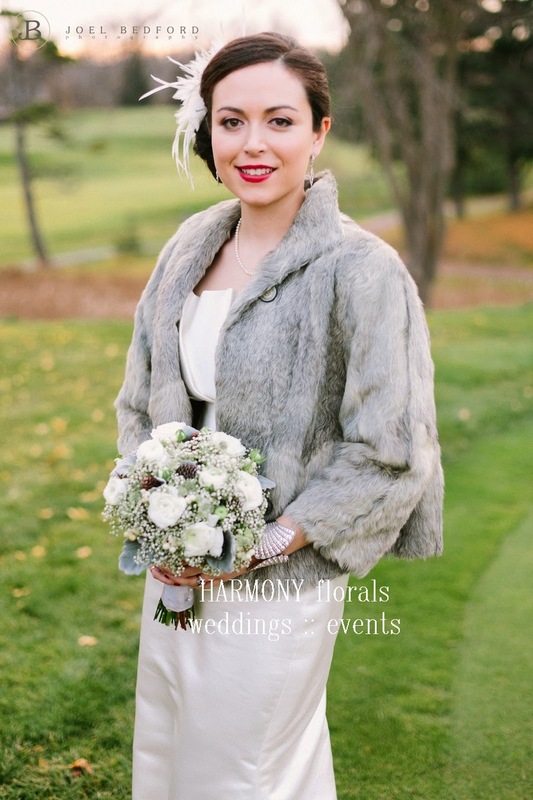 The hottest current wedding styles has been called (a) vintage, (b) rustic or (c) vintage-rustic. Although vintage and rustic are used interchangeably the styles each have their own distinctive elements. 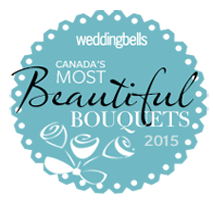 A bride in an ivory lace gown, with matching bird-cage or cathedral veil, holding a bouquet of gardenias, stephanotis, calla lilies with sprays of orchids and softly trailing ivy or jasmine vine. The groom is wearing a 3-piece suit or tuxedo with a pocket watch draped on his vest and cuff links on his shirt sleeves. He may be wearing a bow tie or suspenders and his shoes are brilliantly polished. The tables are adorned with cut crystal vases, bowls or goblets filled with delicate blooms of peonies, hydrangea and roses, dripping with strands of pearls or crystals. 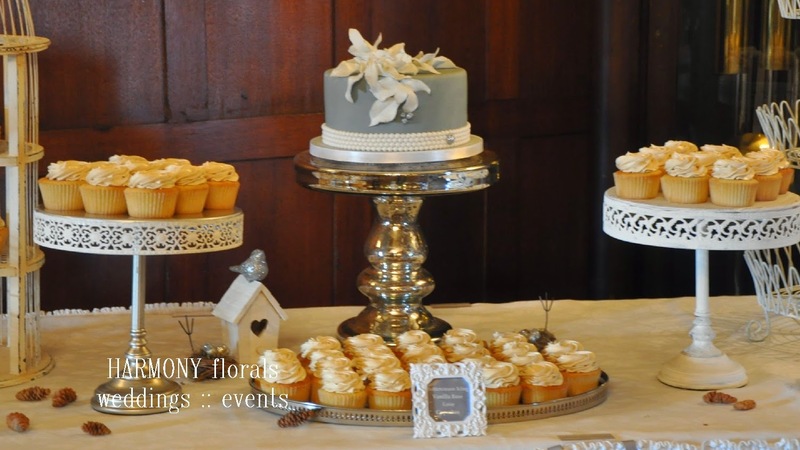 The wedding cake with its intricate scroll work or sugar flowers is displayed in tiers. 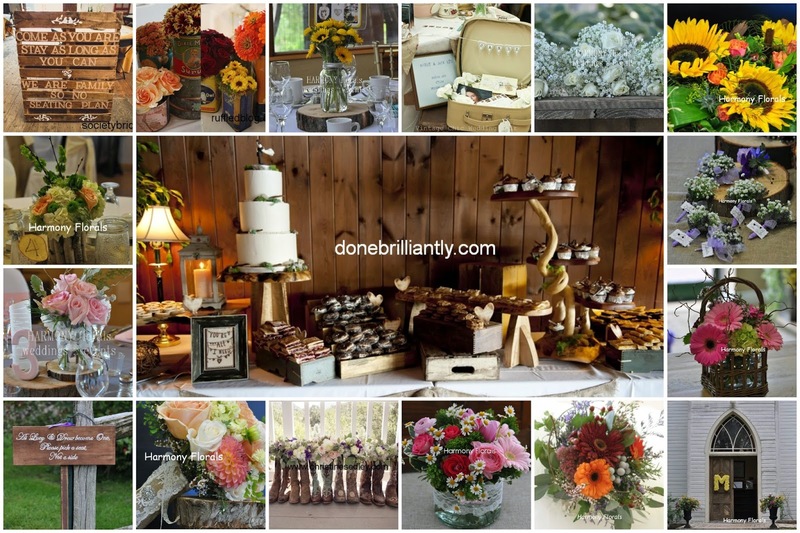 Burlap-wrapped mason jars filled with garden roses and baby's breath resting upon slices of wood in a room filled with barn-wood signs, a chalkboard seating chart and tissue paper flowers suspended from the ceiling. 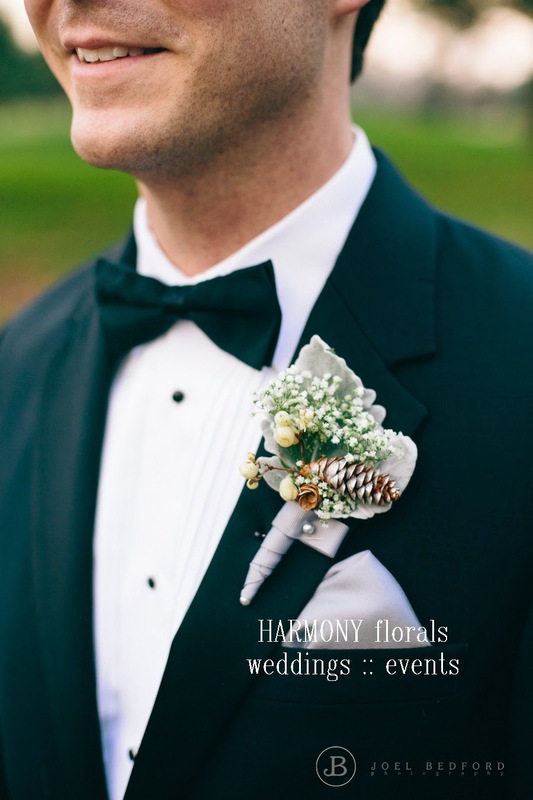 A groom in a wool suit with plaid tie or polka-dot bow tie - his succulent bloom boutonniere is wrapped with twine. A bride in an eyelet lace dress over a petticoat, her hair has a flower tucked into the loose curls and she's wearing cowboy boots - her bouquet is a whimsical mix of wild and garden flowers arranged and tied with burlap and lace ribbons. 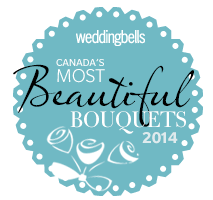 The tables are decorated with flowers with a just-picked-from-the-field look and are loosely arranged in almost any vessel that will hold water: tin cans, pop bottles, watering cans, coffee pots or assorted canning jars. Couples have combined both and the overall effect is warm and welcoming. 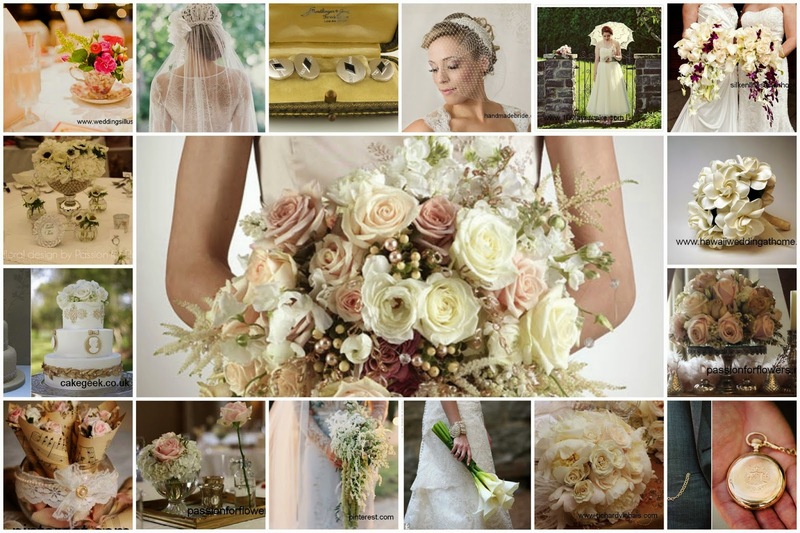 The secret to pulling off a rustic-vintage theme is to balance elements from both aesthetics: burlap and pearls; soft pin-curl hair style and a lace gown; cuff-links with a vest; or a barn venue and tables dressed with cut crystal and china bowls filled with roses and peonies draped with silk ribbon strands.